The Sydney Gazette of 17 April 1813 describes an excursion from the Beecroft area made by 12 explorers, assisted by three friendly local Aboriginal guides to Lake Wollumboola and crossing the Lake Wollumboola entry to the sea. The Beecroft area is sacred to the Jerringa Aboriginal People as the dreamtime birthplace of the thirteen tribes of the south coast with over 200 listed sites of special significance. The first Aboriginal Land Claim ever made in Australia was made by the Jerringa Tribal Council in 1978. The land claim was for areas of Orient Point and Roseby Park. This claim was granted to the Jerringa Tribal Council. These land claim records are so unique that they are preserved in the Canberra National Museum of Indigenous history. The Jerringa Tribal Council submitted a land claim over Beecroft Peninsula in December 1988. This was not successful as the land is a Commonwealth Defence firing range. An aboriginal community has been inhabiting the Orient point area (including what is now known as Roseby Park) for an estimated 20,000 years. 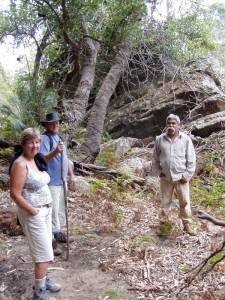 The Jerringa community have supported the local area through gifting land for development for recreational purposes, such as the sporting fields and the Caravan Park land at Crookhaven Headland and sharing their unique history. This area is rich in history for the Jerringa Tribe who have maintained their fishing and gathering activities in the Crookhaven river through Lake Wollumboola to Beecroft. “Back in 1821, in our tribe there were 200 healthy Aboriginal people living at the edges of the Crookhaven River, living off the sea. Today we’re still here, fishing the way we used to back in the early days when I was young”. G Connolly. Roseby Park Reserve – established in 1900 was the first reserve containing houses managed by the Government to be transferred to the Aboriginal Lands Trust in 1974. 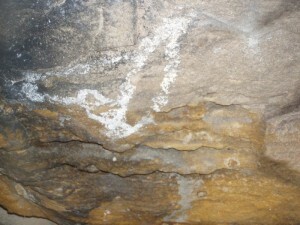 This reserve predated Federation and is unique in the historical context of Australia.